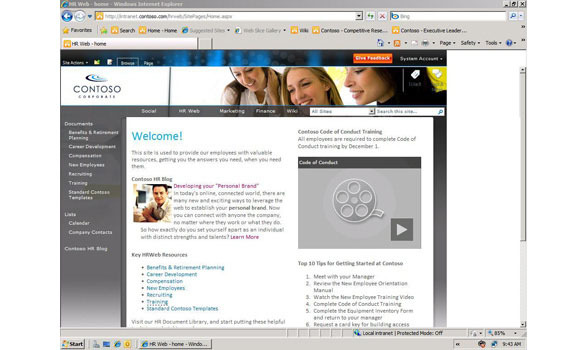 Hosted SharePoint - El Dorado Hills, Folsom, Roseville | RTS IT, Inc.
MySites provide a personal site and a central location for employees to manage and store documents, content, links, and contacts as well as a rich set of new social networking and sharing features. 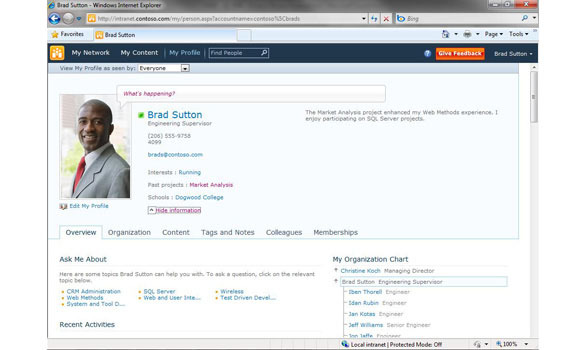 Easily create, customize, and manage Intranet and Team Sites. 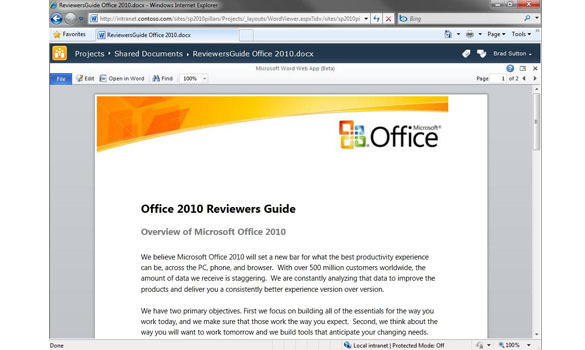 View and share Office documents right in the browser (Firefox, Safari, and Internet Explorer). Bring together the SharePoint technology you already know and love with cloud services for a feature-rich, online collaboration experience among your colleagues, partners and customers. What could SharePoint Online do for your business?